Party Chief now also State President of the Socialist Republic of Vietnam. The National Assembly (NA) voted by secret ballot on the afternoon of October 23 to elect Party General Secretary Nguyen Phu Trong as the new State President of the Socialist Republic of Vietnam for the 2016-2021 tenure. 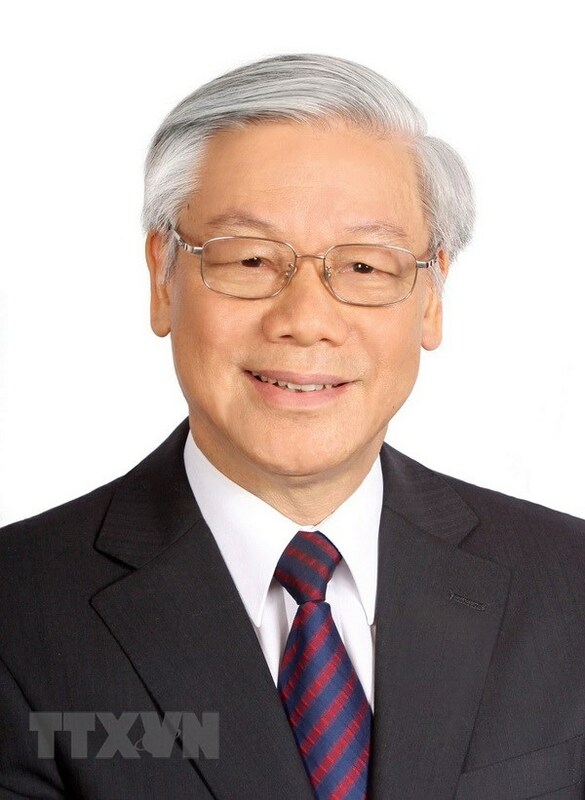 Party General Secretary Trong was the only candidate for the position. He delivered a speech after the NA ratified a resolution on his election, saying the new position was both a great honor and a heavy responsibility and pledging to work hard to fulfill promises made. He emphasized that although Vietnam has reaped great achievements it is still facing many challenges, including unpredictable global developments and a heavy workload at home, especially preparations for the 13th Party Congress. He expressed a hope for broad support from leaders and former leaders of the Party, State, the Vietnam Fatherland Front, NA deputies, voters and the people, as well as coordination from the NA, the government, VFF agencies, socio-political organizations, judicial bodies, and localities. Earlier this month, the Party Central Committee recommended Party Chief Trong be the next State President. Born on April 14, 1944, Mr. Trong was a member of the CPVCC in the 7th, 8th, 9th, 10th, 11th and 12th tenures and a member of the Politburo in the 8th, 9th, 10th, 11th and 12th tenures. He served as Chairman of the National Assembly from 2006-2011 and has been Party General Secretary since 2011.